There are rumors that Qualcomm may switch the naming scheme for its mobile chipsets and title the next one Snapdragon 8150 (or leave it as 855) instead of 850, as there is already a Snapdragon 850 meant for devices running Windows. In fact, a development board with a "Snapdragon 8150" processor is already making the testing rounds, and it just topped another benchmark database. There, the upcoming next-gen 8-series Snapdragon sits atop the Android pile, followed by the yet-to-be-unveiled Helio P80 processor, the Snapdragon 845 in OnePlus 6, and the 7nm Kirin 980 as found on the Mate 20 Pro. Given that Samsung's Exynos 9820 is built on the transitional 8nm process, not Samsung's own superior 7nm lithography, there is every chance that Snapdragon 855 will be the best Android chipset to have in your phone next year. Previously, the 8150 platform also shot to Android prominence on AnTuTu with the record 362292 points, and the same goes for Geekbench. We can expect a large, medium and small kind of processor architecture in a "1+3+4" arrangement at 2.84GHz, 2.4GHz and 1.78GHz maximum clock speeds, respectively. AnTuTu added that the next-gen Adreno 640 GPU performed about 20% better than the 630 that is in Snapdragon 845, so a nice boost in graphics can also be expected from Qualcomm's upcoming 7nm mobile chipset. 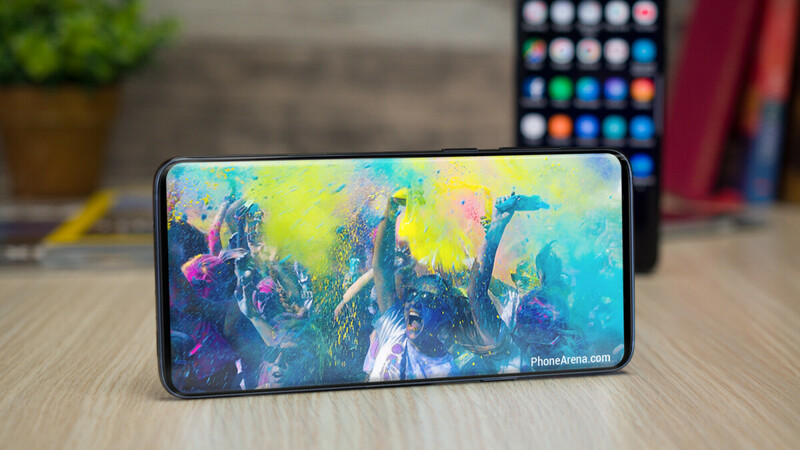 Given that Snapdragon 855/8150 will likely end up in the Galaxy S10 models on this side of the pond, we are glad that the US models may end up having the best mobile SoC on Android, for a change. Fastest android coz they can’t beat Apple. Apple with the fastest SoC can't do half of what you can on an android device. Fastest in terms of 10-15% means nothing in todays smartphones. Keep running antutu and geekbench on your iPhone and continue feeing happy about it. Typical response when apple losing benchmark against any android. Now its upside down. Don’t worry, apple laid its plan on providing more useful features than 1000 gimmicky android feat. And when they added more, your going to say “android had that feat since dinosaur era”. Typical response while losing the productivity and multi tasking battle. Don't worry, you can be happy when Apple "innovates" true multi tasking. Nice burn dude. Mr. Liquid Retina Peaceboy got burned. Real world is what matters. In the real world they both hold their own against each other. XS my open one fast and s9+ may open the other faster. Let's be real with your claim of "Apple's plan." Even Apple's biggest fanboy know you're full of it. Why have a 1000 hp car if all it can do is go in a straight line? Apple's off the chart Benchmarking chips tickles your fancy heh? Seriously what can you do with all that power in the xs/max that i cannot do on my note9? And please dont gimmie that "it open up games faster" nonsense. you guys are worse than the people who argue what fake made up superheros are stronger, they are phones nobody cares which is faster, the user experience is pretty much the same since people all do the same things. stop being children and grow up. Pretty sure it's the best score in antutu. I believe that beats Apple. What are u smoking? Benchmarking means nothing in real world usage. The question is how long can A11 sustain it's GPU performance? It's been known to throttle heavily very soon. So in the end there is no performance gain. Unlike Snapdragon's Adreno which keeps up it's performance numbers for a long time. Also, it's just a test device running the SoC. There are still approximately 3 months to further enhance the performance. I am pretty sure scores are going to be EVEN better. Let's do not forget that Apple throttled entire soc because of "unexpected death of the iPhone". Sustained performance? Where? Actually, while Apple scores highly on CPU benchmarks, their GPUs have been weaker than competing flagship Android phones for years now. It's one of the reasons why they lose overall benchmarks while winning cpu benchmarks. Which GPU?? Adreno has been the faster gpu for a while now. The SnapDragon has always been better on thw GPU and Exynos better with CPU as far and being optimized. Will wait for the Note 10, but the S10 is shaping ul to be way better anybother 1p anniversary model so far.